It would seem all I’m painting lately are dark age-themed models, but that really isn’t the case. It’s just that I really like painting them and then showing them off. The two models below are for my friend Alex’ warband so I’ll be passing them on in a few days, and as I really like these Footsore Miniatures sculpts I thought I’d show them here first. Both were completed over the course of a day, I can’t really time them. I started out with a drybrush of all the metallics, then blocked in all the colours, washed them with the appropriate GW washes, then highlighted everything at least once. As you can see these models carry enough fur to make those PETA nutjobs cringe, which is precisely why I lavished extra attention on them! You can’t really see in the pictures as they’re a bit overexposed, but I managed to create a lovely gradient towards the edges of the furs, all the while keeping the textured effect intact. Dark Age models lend themselves particularly well to some freehand patterning, so I opted for some simple lines and dags on these two fellows. I think they’d be a bit too plain looking otherwise. That’s it for now! As far as Footsore Miniatures are concerned: in my experience they’re the best Dark Age models currently available. I’ve recently painted a small Irish warband of theirs (just awaiting a flag for the standard bearer) which was equally well-sculpted and cleanly cast. Their ranges are still showing large gap but they seem to be filling these at a fair pace. Do give them a try if you haven’t already! More Franks were painted over the course of the last few weeks, but as you’ll see they’re nothing like the previous lot. 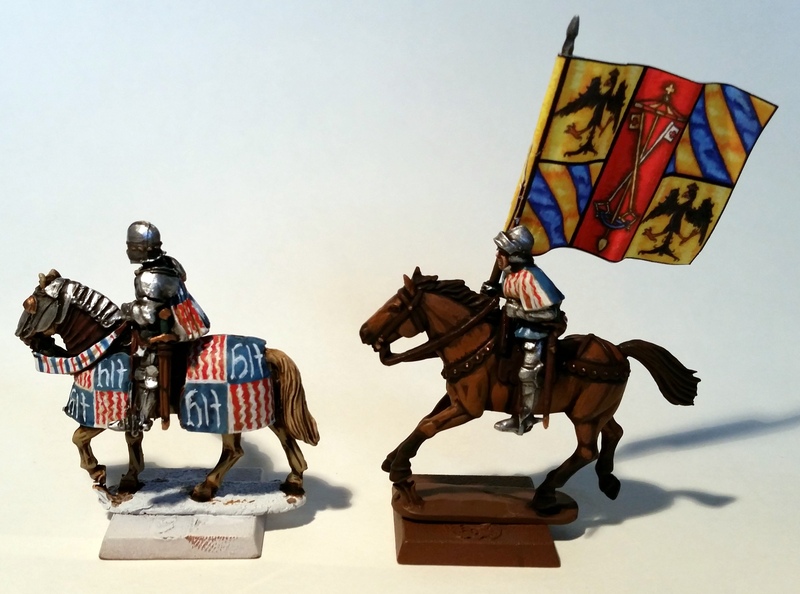 These are Carolingian Franks from Gripping Beast, and they’re a commission from my friend Alex. First up, the Warlord. He’s the more colourful of the lot, and I gave him a white horse to stand out that much more. Two points of mounted Hearthguard. These were also done rather colourfully. I had a good time mixing and matching colours on different garments to make each model unique. 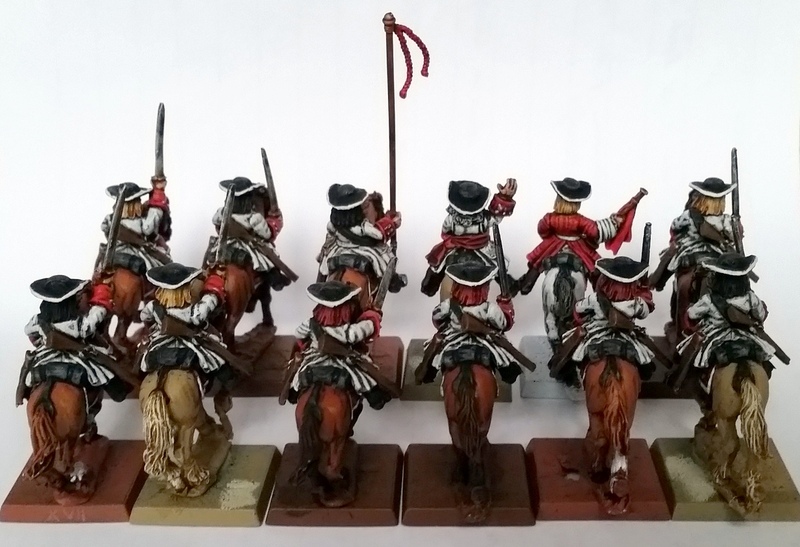 A point of mounted Warriors. For these lower-ranked guys I opted for simple, neutral colours on their garments but then made the shields stand out. Finally, two points of foot Warriors. 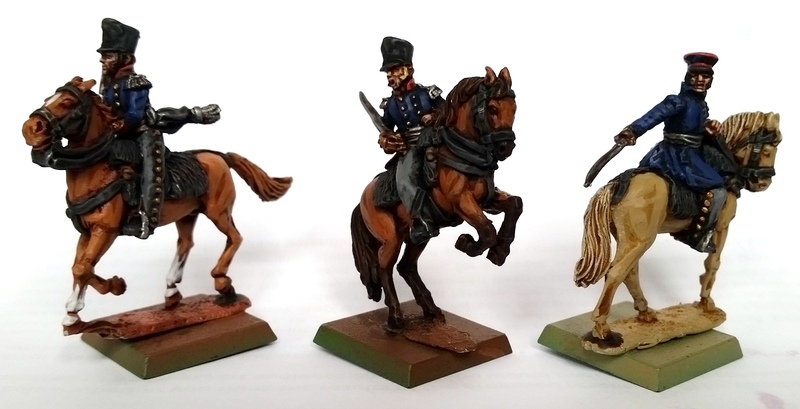 As with their mounted comrades I used neutral tones on the garments, and as you can see from their bases I used four different undercoat sprays which would form the base of the models’ tunics. That certainly sped up the painting process! I’ve just completed painting the last of these models this morning and I’ll be handing them over tomorrow evening. I’m glad to be shot of them, as that means I can focus on my own lead pile again! 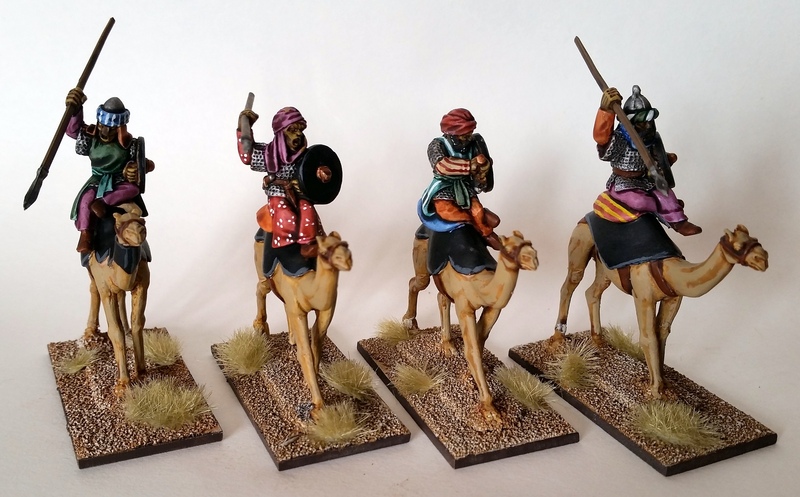 Yet more Arabs were completed recently. These form part of my friend Kurt’s growing army, which was aimed at Saga but has already been seeing action in games of Sword & Spear. That’s the beauty of historical wargaming: the words “I’ll get just enough for a skirmish game” have barely escaped your mouth and then you end up with a hundred or more models. It’s happened to everybody! Anyway, on to the models. 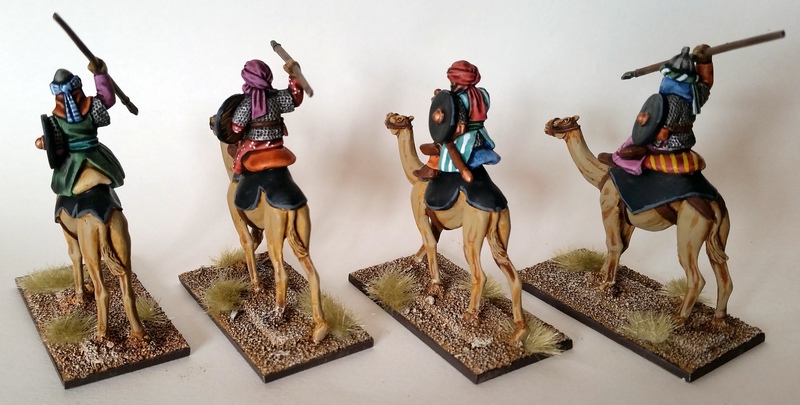 I must confess I really like painting camels. It’s probably to do with the simplicity of the painting process – they already look the part with a single basecoat, wash and highlight all over! Some of the newer sculpts they’ve put out, and it shows. As with the other models I’ve done these up with just washes, although I have used a few more freehand motifs to spice the models up just a tad more. The sculpts themselves are very clean, so these were a joy to work on. Note the big sapphire in his turban – can’t beat blue-orange contrast! 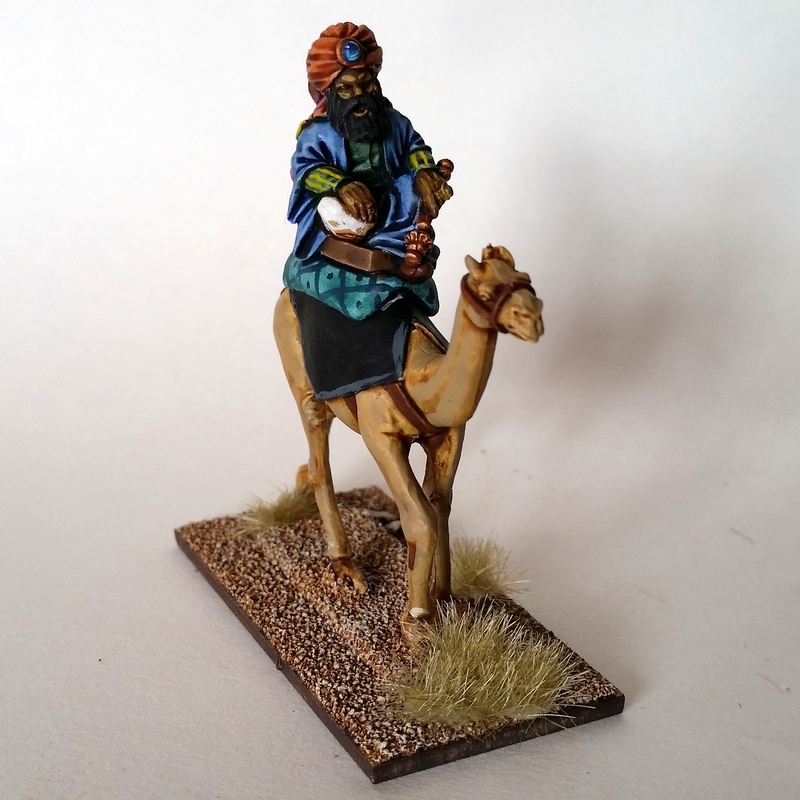 This warlord on camel is fantastic as well. I’d be happy yelling at my troops from the comfort of a pillowy chair atop a smelly camel as well! The blue gemstone was painted in the age-old tradition of Eldar collectors and I think it came out rather well. 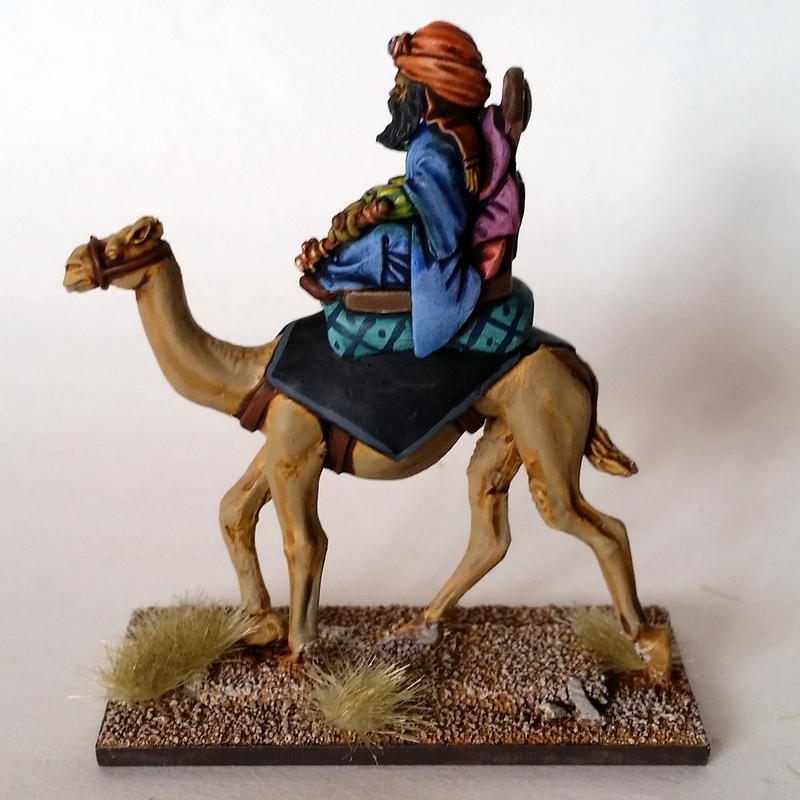 This marks the temporary end of all things camel-mounted in my painting queue. For the Arabs I’ve got some light javelin cavalry coming up as well as a few more foot soldiers – more on those next month. Updates on the blog have been sparse these last weeks, but never fear! 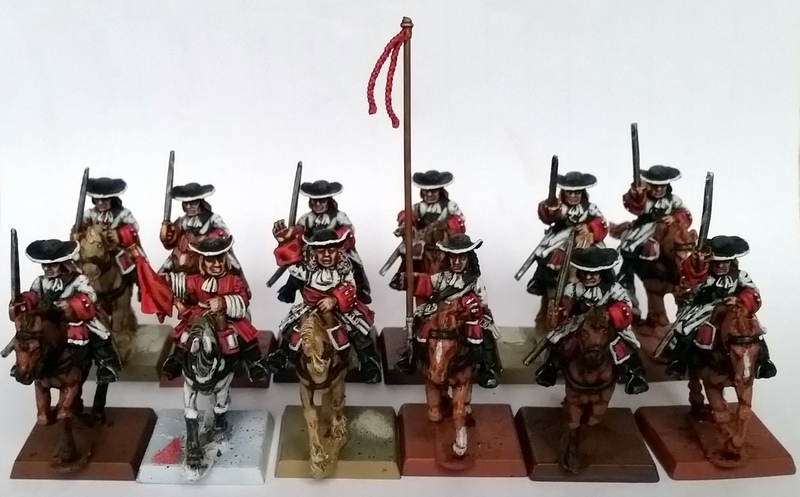 I’ve two more updates coming up for you this weekend, one more for the Crusades and one for Napoleonics. So check back soon! In among the ‘samey’ commission projects I have going is this wonderful little breath of fresh air. Federico da Montefeltro, a knight of the Duke of Urbino. He’ll be commanding my wargaming compatriot Carl’s Venetian forces in future battles. A metal and a plastic model by Perry Miniatures. Carl supplied me with a depiction of the heraldry to be painted onto the barding and such, and I really enjoyed painting this – quite different from my usual freehands. 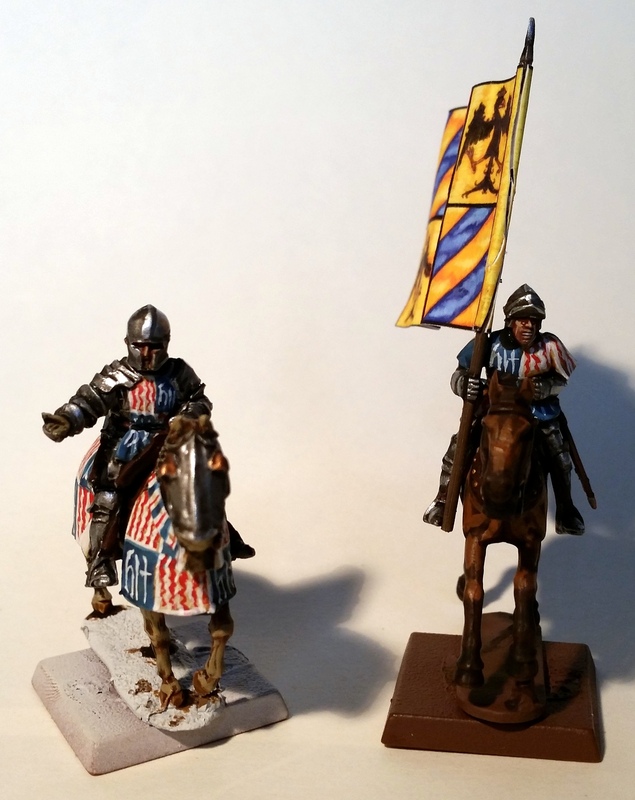 These are the first late medieval models for the blog, but they won’t be the last – I have a box of plastic Perry knights waiting in the wings. They probably won’t be lavished in this way, though. That’s it for today – I’m off to Cambridge with the in-laws tomorrow. Tally ho!